Buying a gift for your boss, whether it’s for a holiday or for reaching a milestone at work, can be a difficult task. While there are tons of different gifts out there, you need to choose based on the occasion, and the relationship you have with your boss. You work with your boss, so getting him or her a work related gift just makes sense, doesn’t it? 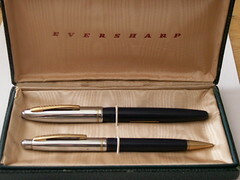 One of the best work related gifts that you can get anywhere is a pen set or a fine pen. While your boss may already have a nice pen or two, that doesn’t mean that he couldn’t use one more. Best of all, your boss will think of you every single time he uses that pen, and that could be a subconscious boon for your career. Don’t underestimate the power of a great gift for your boss when it comes to your work life! When you buy flowers for your boss the best type are wildflowers or ones that look good in an office setting. Avoid romantic bouquets like roses and go for native flowers that offer a bright pop of color to an office. Examples include sunflowers, lilies or even small plants in pots. Not everybody drinks, so you'll want to first be sure that your boss does. If he enjoys a good bottle of wine or scotch, that makes for a wonderful gift. Everybody loves cookies, and cookie gift baskets are both personal enough to mean something and impersonal enough that you could give one to pretty much anybody. If you know your boss has a favorite cookie you should obviously pick that type of the gift basket. If you don’t know his favorite cookie, you can get a mixed cookie gift basket that anybody will love. Even if your boss isn't the world’s biggest cookie fan he'll enjoy taking them home and sharing with family, or may even choose to share with the entire office. Do you have any other gift ideas? Feel free to share them in the comments.